When I go to the Walmart, I always park near the Garden section. It’s more convenient in terms of parking, and most importantly there are less people. Because of this, I only acquire a mild headache when I go to the store. I went to Walmart recently for some groceries and as you would have it, I left with some food, candles, and a damn plant. A Croton to be exact. It’s rare, that I can go to this store and not walk with extra stuff I had no intention on buying in the first place. This is exactly how I came across Primrose. I was walking through the garden section and saw a colorful plant and a sign that said $9.00. So, in the cart she went. Once I got home, I threw her in a pot and put her in the backyard where I like to sit in my chair and clear my head sometimes. 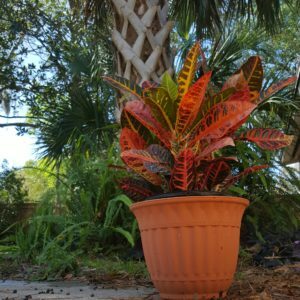 ‘Prim’ is a Croton Petra, a tropical plant that needs minimal care and has the ability to grow indoors and outside. Prim, doesn’t require any pruning. She just needs to moist soil and some liquid fertilizer every two weeks. The care and maintenance she requires meshes well with my school and work schedule, so it’s a good fit. 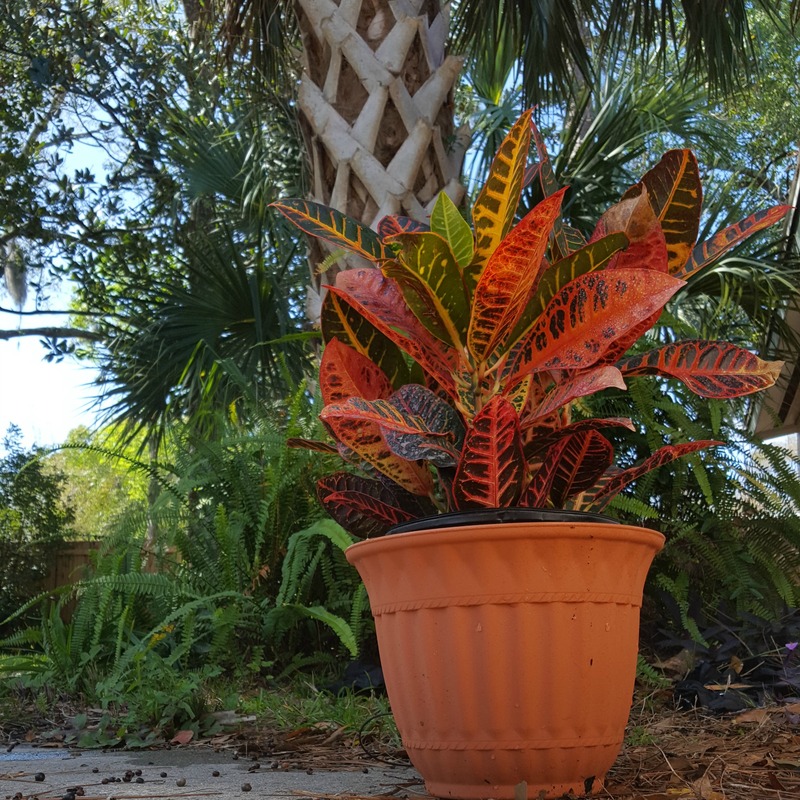 My Croton is fairly easy to take care of. Now, with that being said, I did almost kill her at one point. She was beginning to wilt and turn brown until I finally did some research on the proper care of this plant. Apparently, my interpretation of hydration was completely different from the experts. I blame my mom for this mishap. She lacked a green-thumb and stayed with a brown plant on the patio while we were growing up, so it may be in my blood. When I get my own home, I plan to continue with the theme of tropical plants in my garden, so I’ll be getting some more Crotons down the line. 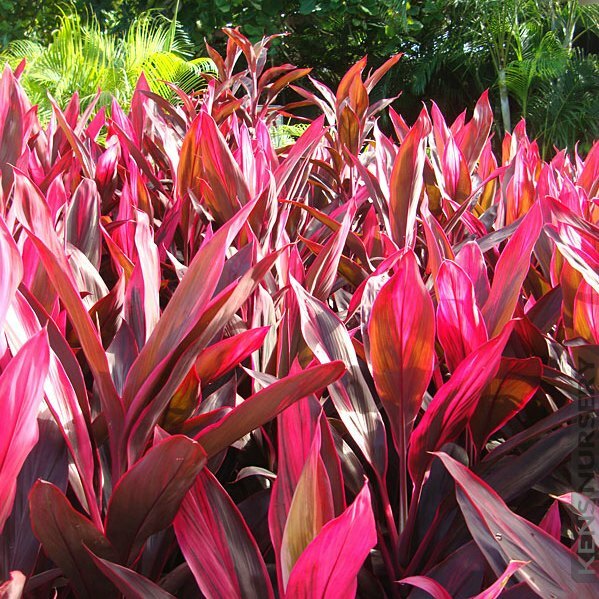 I plan to get some Cordylines as well.My goal is to have a tropical oasis of sorts right in my own backyard. Until that day comes, I will be perfectly content with Primrose holding things down on her own. She is a wonderful addition to my routine. When I’m stressed or need some fresh air, I enjoy being able to relax outside and see her beautiful and colorful foliage in the background. It’s simple things like this that give me joy and happiness. What help you relax and get away from the world? OooO bamboo? I have to look into that one. My parents always had a garden. My mother in law wanted to start one and I think we’ll start with these! I love the title of this blog. Journey to peace, because that is what I am focusing on withing myself this year. What helped me is mediating. Go into a quiet room close the doors turn off the light and just be. Good luck on your jouney. I love meditating, especially chakra meditations. I’ve been slacking though. I need to get back to it. I definitely need to try this. I’ve recently been very preoccupied with making sure my space facilitates the type of headspace I want to be in at all times.